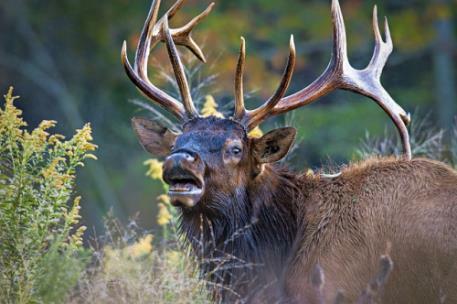 The plan was approved in March 2018 and can be viewed on the “Elk in Tennessee” page on the TWRA website. Information about the elk program will be shared, and attendees will be asked to provide any thoughts and suggestions about important items for the upcoming year. The workshop will be held on Tuesday, March 5 from 6-8 p.m.
at the Ball Farm Event Center, 2107 General Carl W. Stiner Hwy. (Hwy 63), LaFollette, TN 37766. Written comments will also be accepted by e-mail at Ask.TWRA@tn.govor or by mailing TWRA, 3030 Wildlife Way, Morristown, TN 37814. Add “Elk Program Comments” in the subject line.